A long-awaited, 60-plus page document by His Beatitude, Metropolitan Tikhon, titled “Of What Life Do We Speak? Four Pillars for the Fulfillment of the Apostolic Work of the Church,” was released on Friday, June 29, 2018—the Feast of the Holy Apostles Peter and Paul—in preparation for the 19th All-American Council of the Orthodox Church in America. Drawing on Scripture and the writings of the late Protopresbyter Alexander Schmemann, Metropolitan Tikhon focuses on four essential areas, or “pillars,” of the Orthodox Christian Tradition—the Spiritual Life, Stewardship, Relations with Others, and Outreach and Evangelism. 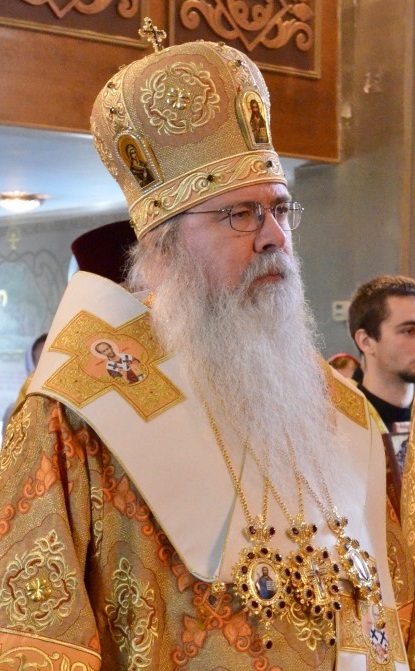 In each instance, Metropolitan Tikhon relates these four pillars, individually and collectively, to the overall life of the Church for clergy and faithful alike while considering the challenges facing the Orthodox Church in America as it continues to minister and witness well into the 21st century. “The work I am releasing today is the product of prayer and reflection, as well as the consideration of input I have received from the Holy Synod, Metropolitan Council, clergy and individual members of the Orthodox Church in America over the past four years,” Metropolitan Tikhon said. “It was initially inspired by the theme of our 18th All-American Council which challenged us to respond to Saint Tikhon’s question: How do we expand the mission of Orthodoxy in North America? The complete text of Of What Life Do We Speak? is available in PDF format for downloading. Copies also will be available at the 19th All-American Council, slated to convene in Saint Louis, MO July 23-27, 2018.